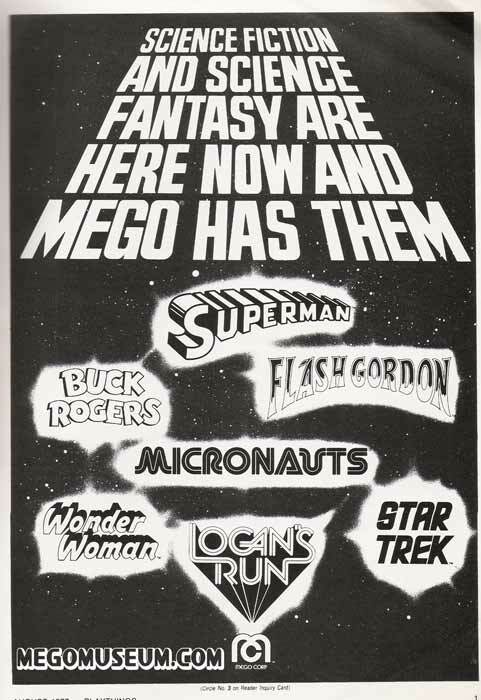 In 1978, CBS TV launched their TV version of the smash hit movie Logan’s Run. 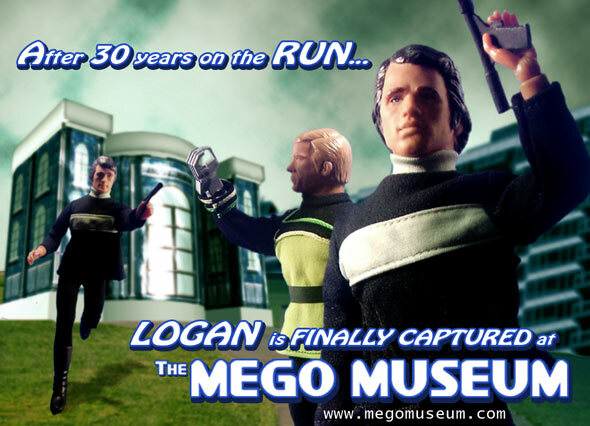 The TV version forgot about the movie’s ending and had Logan as a fugitive in a nuclear wasteland, aided by friends Jessica and android buddy REM, all the time being pursued by Logans ex-partner in killing, Francis 7.
have ever guessed that Mego optioned toys or that they were actually finished. A horrifying segment was shown: Cases of Mego Logans Run dolls being shoved in an incinerator. Collectors believed the tale and because McGonagle himself first owned the Ralph Hinkly prototype, believed that somewhere a authentic LR prototype would surface. Summer 2000 was the first such occurance when the first two figures surfaced out of a private collection. 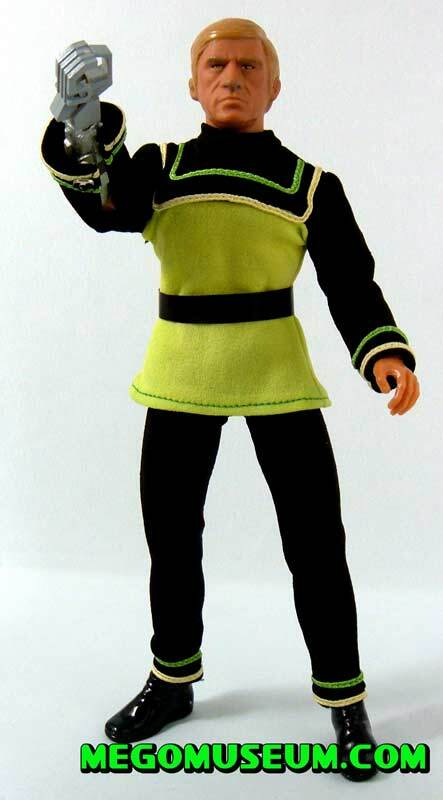 In 2007, the Megomuseum uncovered the third figure in the series, titular star Logan Five. This page is dedicated to my late friend John McGonagle, one of the nicest guys around. He was right. While REM and Francis have been spotted on very rare occasion this is the first time ever, that the figure of the star of the series has been seen. 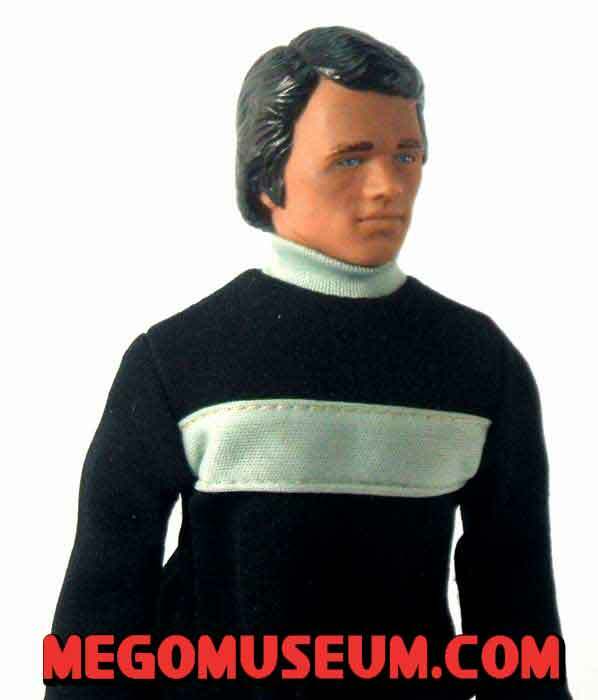 The Logan 5 prototype makes it debut on the Megomuseum. 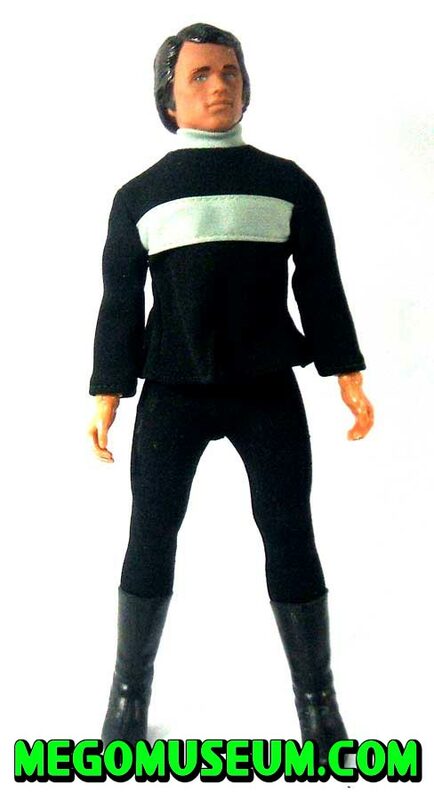 Like Rem and Francis 7, the head is a Ken Sheller sculpted likeness of the actor (in this case Gregory Harrison), the body is a ten inch one exactly like those from Flash Gordon. Currently, it is believed there are only two Logan figures remaining. 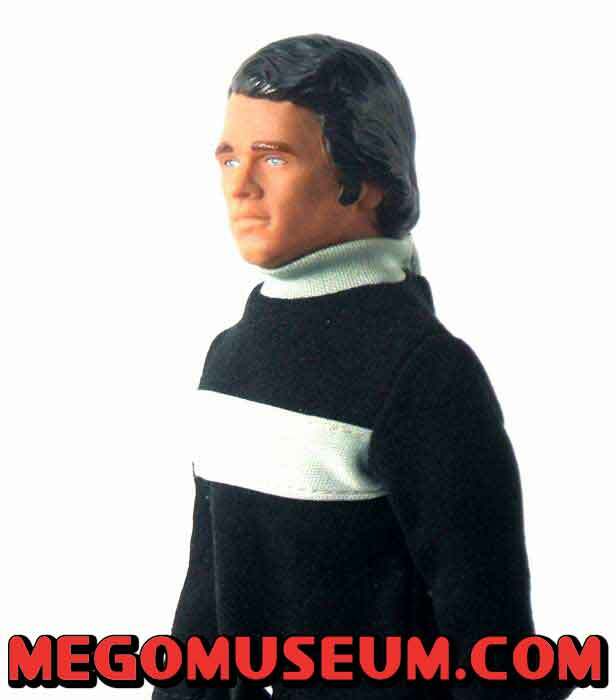 The only figure from this series that remains to be found is that of Jessica 6, which would have a likeness of actor Heather Menzies. A side by side comparison of the Logans Run tunics, the original prototype and one purchases from a blow molded doll in the seventies. 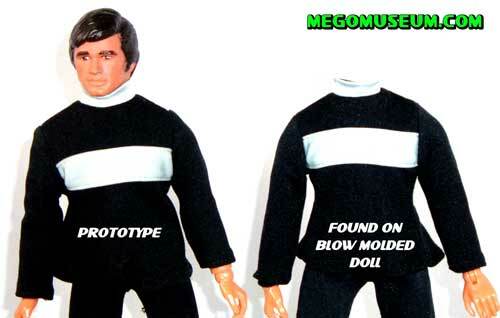 Other dolls have been spotted wearing Mego clothes, no packaged samples of these have surfaced. cropping up for most of the episodes with his entourage. Francis was the series villain played with gusto by Randolph Powell, rumour has it Francis would have joined the rebellion in the second season. REM was a character unique to the Logan’s Run TV series. One part father figure, the other part Mr Spock, REM was a two hundred year old android that Logan and Jessica find in a lost mountain city. Actor Donald Moffet gave REM alot of charm for a machine, as well as an easily bruised ego. 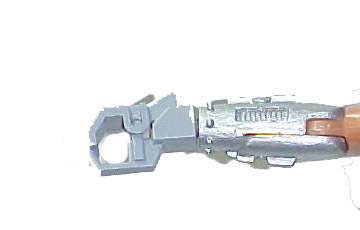 A weird thing Mego did was to give REM a claw (very similiar to the Micronauts Biotron claw), while the character was often shown in pieces on the show, he never had this hand. Perhaps it was an attempt to make him more toy like. Rem’s claw is detachable but then so are the feet on this prototype so it’s not know if this would be permanent.